Yolanda and Peter McCall gave a thoroughly interesting, joint presentation to the club on the story of St John’s Tower (Ayr’s oldest building) and the efforts being made to promote interest in the heritage of the site. Yolanda began with a potted history, describing the origins of the original Ayr Parish Church, dedicated to St John the Baptist, patron saint of Ayr, in the late 12th century. The tower, which was a later addition, is now all that remains of the church. Over the centuries there have been many notable visitors including Robert the Bruce, James IV and Mary Queen of Scots. In the 1650’s, Oliver Cromwell’s troops established a fort and citadel around the church but by 1726 the church had been demolished. The tower, minus its bells was preserved as a navigational aid to mariners entering Ayr harbour. 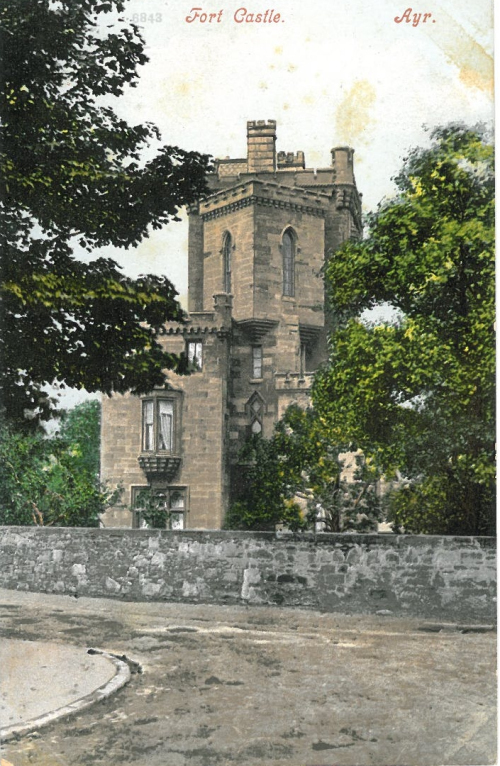 Under later owners, including the gunsmith John Miller and then the 4th Marquess of Bute, a variety of alterations were made to the tower and the 5th Marquess gifted it to the town in 1949. Peter took over from Yolande to talk about the activities of the Friends of St John’s Tower (FROST). FROST was set up in 2002 to promote and care for the tower through various fund-raising activities, doors-open days, and other heritage events. Although the tower is now closed to the general public due to vandalism concerns, the FROST website has a helpful, virtual tour video to allow internal viewing. 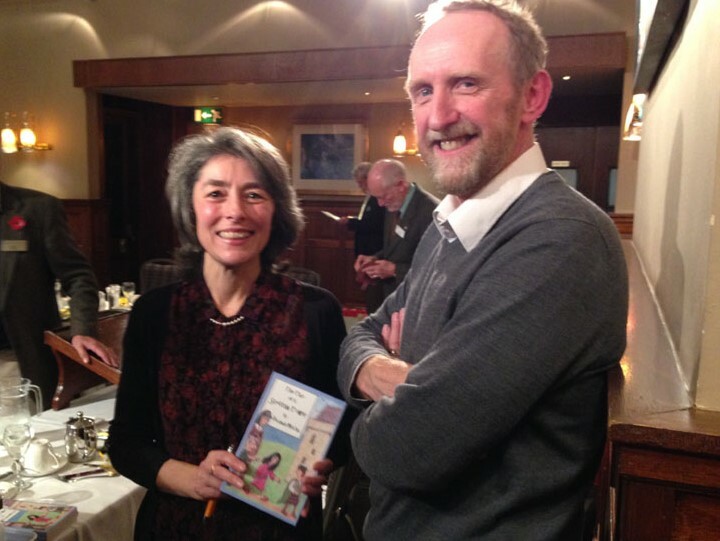 Yolande has recently published a children’s book, “The Tale of a Scottish Tower”, which is proving very popular with schools and can also be enjoyed by adults. John Ewing thanked Peter and Yolande for their contribution to Ayr’s heritage and for coming to speak to the club.